Two things happened to me over this past weekend to strengthen my conviction that paper ballots are superior to electronic voting machines. 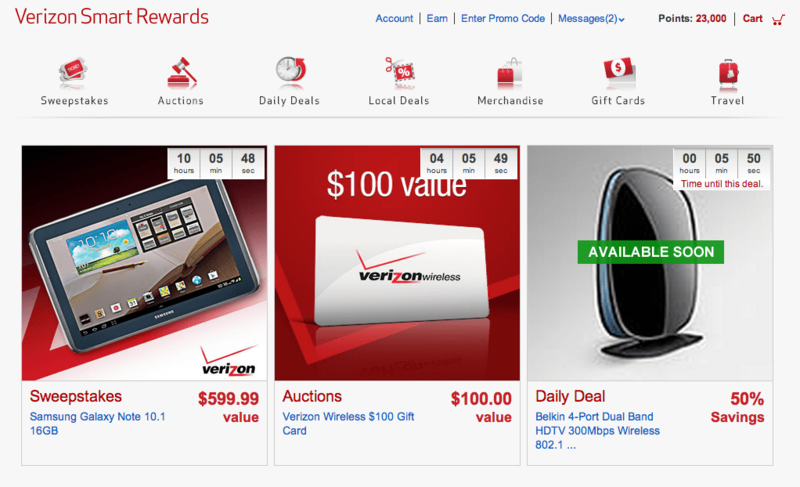 The first was my experience upgrading my cell phone at a local Verizon Wireless store. The second, and more widely reported, was revelation that Russia had succeeded in hacking into state voter registration data in Illinois and Arizona. Verizon is doing what all other major cell providers are doing, computerizing their point-of-sale interactions with customers. This presumably allows them to have real time data concerning the customer’s account and the transactions that are taking place while at the store. Verizon does this through using “souped up tablets.” The current versions are somewhat bulky, clearly awkward, and almost always slow to respond to the operator’s requests. When I arrived at the store, the salesperson had to go through the electronic data to examine all my previous purchases from Verizon. That frequently involved moving from one electronic page to another. Sometimes the tablet wanted to move; other times it was like a car stuck in park. When it came time to purchase a new phone and accessories, each item had to have its bar code scanned. It’s not as simple as with a boarding pass at an airport or even a half-gallon of milk at the grocery store. In those cases, the scanner is solid, is stationary. At the cell phone store, they have to line the product up perfectly and then try to align an electronic beam from the bulky tablet to just the right angle to capture the bar code. It reminded me of flossing. Since I’m a sucker for accessories, the bar code tango happened repeatedly. After all was said and done, the tablet had to process my credit card and then find a printer which would process the receipt. I could not help but thinking how much easier it could have been had the sales agent had one or two pieces of paper that had a checklist of the options that I could choose. The agent could have recorded what I wanted as quickly as I decided. Then he could have run the paper through an optical scanner and had a nearly instantaneous electronic record of my purchase. The whole transaction could have been ten minutes, rather than thirty, and nerves would have been less frayed. I doubt these stores use point-of-sale tablets because they want to save trees. Someone has convinced the companies that the only way to go is electronic, and what it demonstrated was that only the most facile of operators could use the machines. But when it’s used out in the field, it is so slow that it makes me long for the “charge-a-plate” days. In fairness, I should say that the employees could not have been nicer. They may have hidden their frustration better than me, but I think that even as techies, they would have welcomed paper. was the burglarizing of their national headquarters in 1972 that kicked off the entire Watergate scandal. But whatever level of protection the DNC had did not foil Russian attempts to penetrate. If the Russians, working either for themselves or for Donald Trump, could determine campaign strategy of the Democratic Party, they could obviously tilt the outcome of the election. Hackers have succeeded in accessing data from federal agencies. Last January, hackers entered the database of the Internal Revenue Service and stole the records of over 100,000 taxpayers. If they can roam through federal agencies, think of what they can do with electronic information held at the state level. Federal agencies can call on specialists in the FBI, NSA, Homeland Security and literally dozens of other departments that work in the field of security. States, which are more desperate to save money than the feds, are more likely to put election security in the hands of the lowest bidder rather than the most qualified. Paper ballots literally leave a paper trail. The source document for each voter will come from a piece of paper which has outlined ovals filled in with a number two pencil. Once a ballot is completed by a voter, it goes through an optical scanner to be calculated with the ballots of every other voter. The original ballot can be kept in perpetuity, to always be available for a recount if necessary. 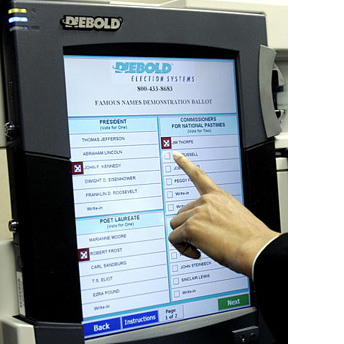 As investigations into the infamous Diebold voting machines showed, these machines are vulnerable in a number of ways. If they are networked, they can be hacked. If they are stand-alone, they will still need to transfer data through memory cards or USB drives, and each of these mediums can be programmed to distort and destroy data. Often times the “fingerprints” of the manipulation time out essentially eliminating any trace of manipulation. In the both the cases of buying a cell phone and protecting the integrity of an election, it seems that the “mothers of invention” have chosen to take technology beyond the point of usefulness. At Verizon, what was intended to speed up the transaction actually made it considerably slower. With voting machines, the goal was greater security and certainty, but because of the skills of those who want to distort elections, electronic voting can be more dangerous than the shenanigans of yesteryear such as allowing people to vote from their graves. For Verizon and other wireless providers, the situation will probably be remedied when competition goes back to a simpler way of doing business. For elections, reform will only happen to the degree that we want these elections to be fair and accurate. I wish that was a slam-dunk proposition, but unfortunately the corruption and distortion industry has too much to lose to give up now. Let’s hope paper can make a come-back.